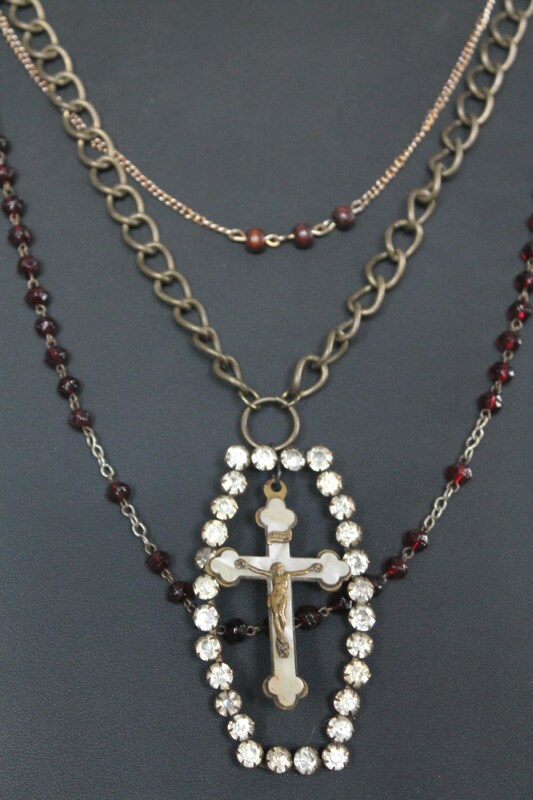 Vintage Silver and Mother of Pearl Cross assemblage triple strand necklace features Old crucifix from old Italian Rosary . 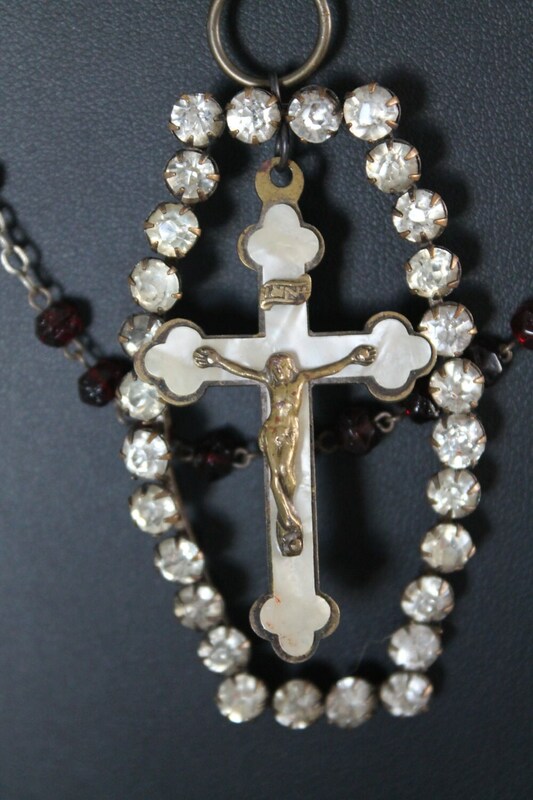 I framed it with old Rhinestones Belt Buckle. 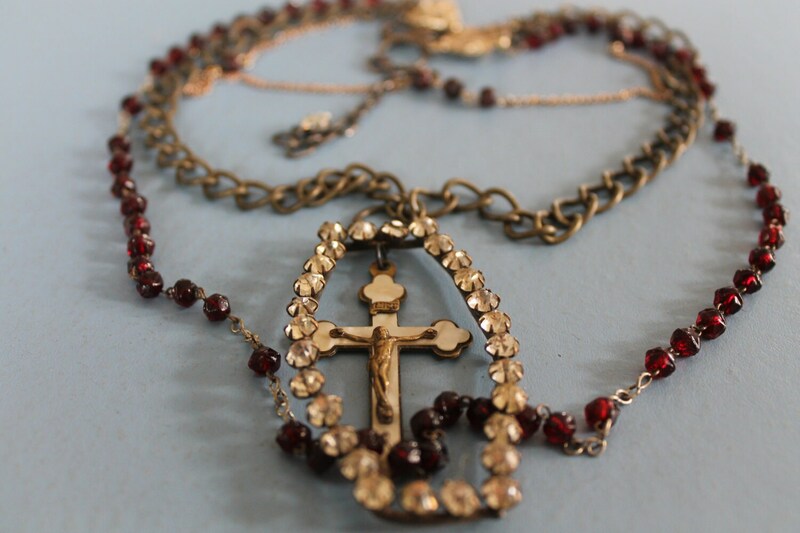 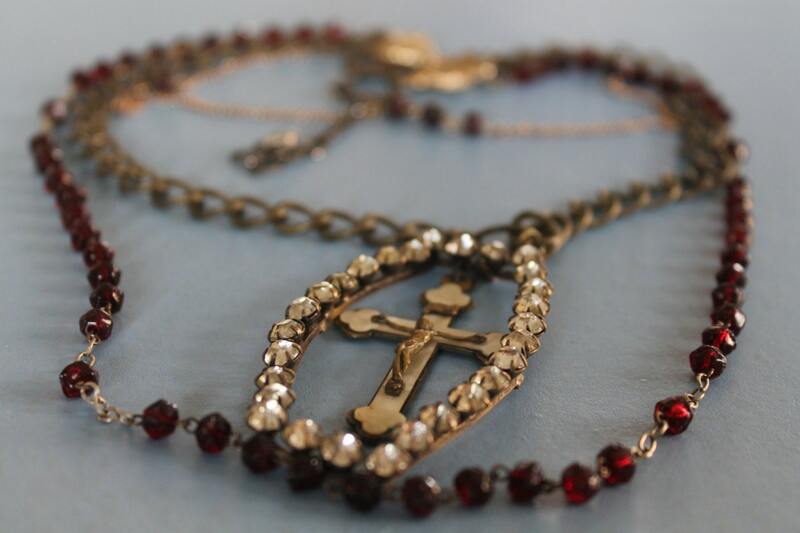 To assemble this necklace I used old Ruby Red rosary beads, vintage triple strand connectors, bronze chain, gold filled chain with the glass beads and brand new lobster clasp. 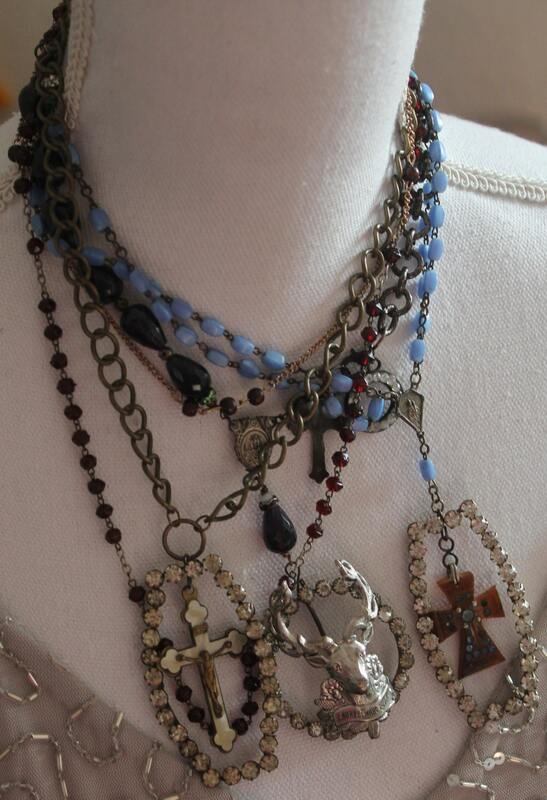 Pendant is 2 1/2 by 1 1/4"